Subaltern Pat Somerville’s account of his capture in Flanders in October 1914 and subsequent imprisonment in Germany. He was captured at Zonnebeke near Ypres. 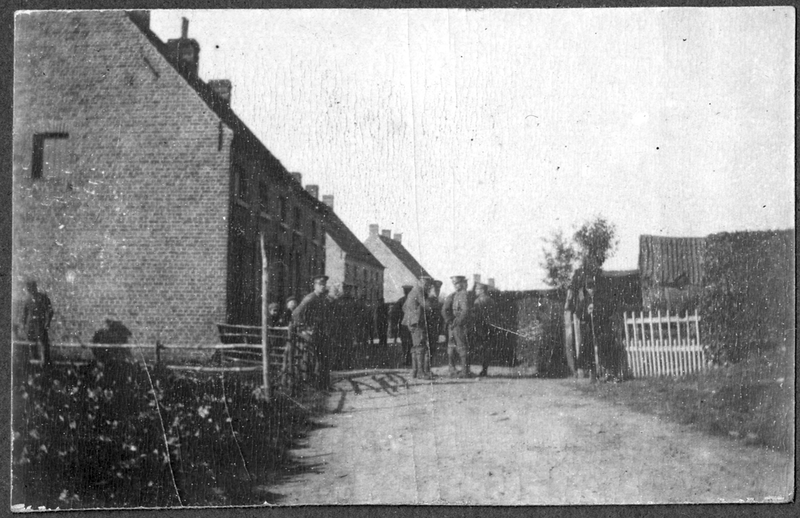 This village and its neighbour Passchendaele was later to be completely obliterated in the bloody battle of The Third Battle of Ypres in 1917. 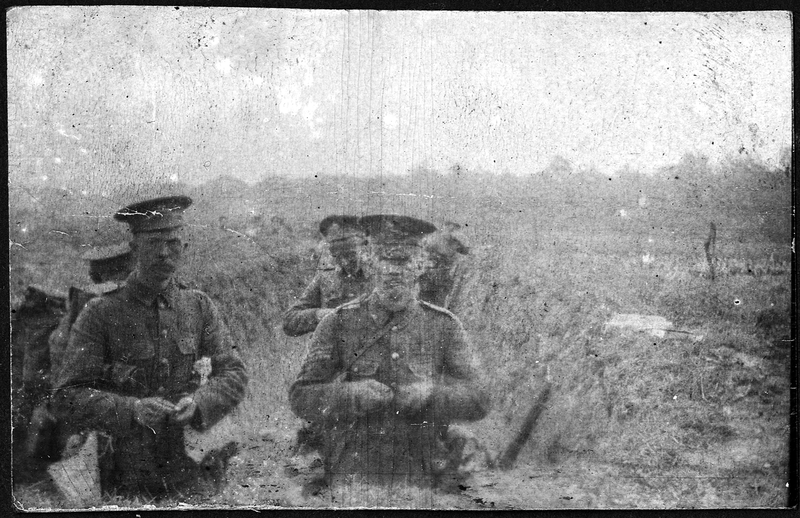 Somerville managed to keep his camera with him and continued to photograph behind the wire at Crefeld (now Krefeld) and in subsequent camps. Night time October 20th 1914 – up just behind the front line, the only line, by Zonnebeke – seven miles North East of Ypres. The Royal Welch Fusiliers were holding the line with us in reserve just behind. About 9 P.M. an officer comes running back – the men in front are getting played out, they want help, my platoon is to go up. he points out the way and then rushes back to the trenches. 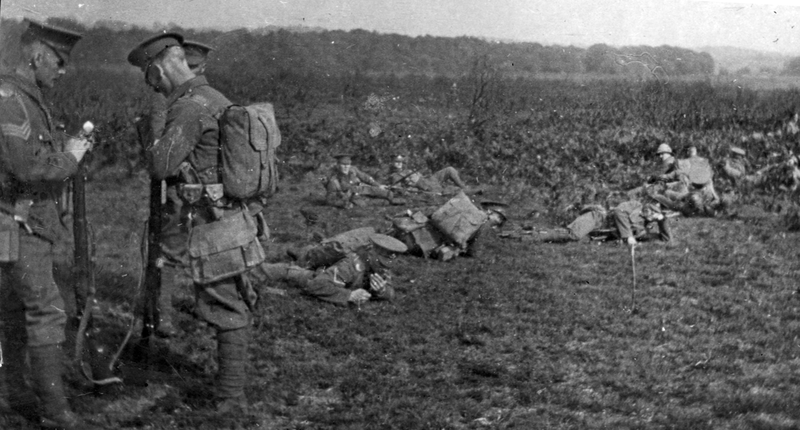 I have a hurried talk to the platoon – explain the situation, and then we rush up over the rise and down into the line of trenches a couple of hundred yards beyond the crest. it was a miserable night. The front line men had had a bad time and were very thinned out and glad to see us. There was intermittent firing all night. Next morning the enemy bombardment livened up and kept at us all day especially on our right where a sunken road ran right through our position. We could see the enemy working their way up in front. – concentrating in various places behind walls and houses. 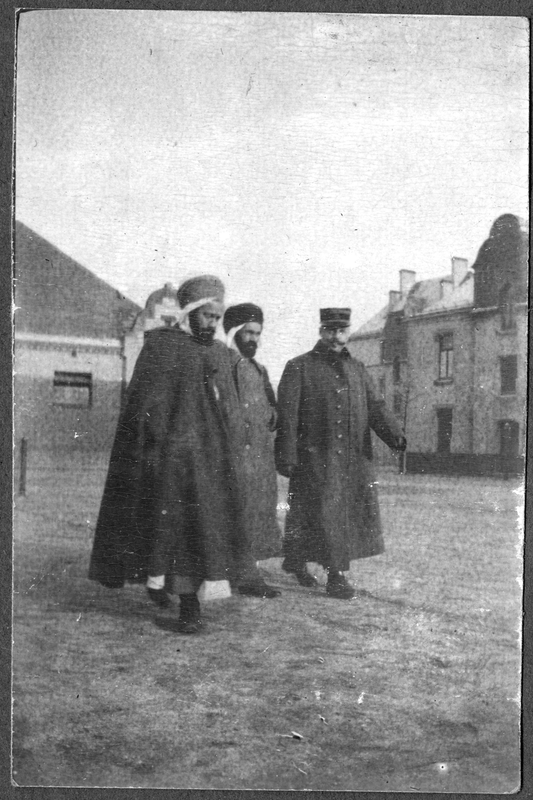 A couple of their charges were beaten off – and brave fellows some of them were, especially one we noticed who rushed right up to within forty yards of our line to tend to a comrade with both legs broken. We also caught sight of the German bayonets with saw-backs, these were were actually used by their pioneer troops for cutting brushwood etc and were eventually discontinued owing to neutral pressure. The artillery and small arms barrage kept on all (day) from the front – our casualties were mounting up – mud and grit was putting the rifles out of action – darkness was coming on – when suddenly there was shouting and yelling from behind us and the enemy charged down on our backs from the direction of our own troops. They had smashed in all our trenches by the sunken road on our right and then advanced up this road unseen to us and so worked round to the rear. We were overpowered and made prisoners in a few minutes. The same thing had happened on the other side of the road.